​Peter Ashbourne attended the St. Hugh’s Preparatory School, the Wolmer’s High School for Boys, the University of the West Indies in Kingston, the Jamaica School of Music, and has a Bachelor of Music (composition) degree from the Berklee College of Music (Boston, Mass., USA). Mr Ashbourne, who holds a LRSM (Performance) diploma in violin, was considered a child prodigy on that instrument from as early as age 9. He also plays the piano. An experienced composer, arranger, performer and band leader, Ashbourne taught at the ‘Jamaica School of Music’ in its Jazz Department from 1976 – 1979. He conducted an Art Music and Reggae Workshop at the ‘University of Music and Dramatic Arts – Graz’, Austria in 1986 and held a lecture and seminar on the ‘Development of Jamaican Popular Music, from Mento, Ska, Reggae to Dancehall’ at the ‘University of Southern Maine’, U.S.A., in spring 2007. His lecture ‘Two Turning Points in Jamaican Popular Music’ held at the Global Reggae Conference 2008, at the University of the West Indies was universally well received and was published in the Book ‘Global Reggae’ in 2013. Peter Ashbourne was appointed to the position of ‘Senior Music Fellow’ by the University of the West Indies, Mona Campus in Kingston in January 2013. He has adjudicated in various institutions and at various events from music schools to regional song contests, such as the ‘Caribbean Broadcasting Union (CBU) Song Contest’. He also is the arranger of songs in “tu tu tu tu”, Rosina Christina Moder’s Caribbean recorder teaching book, first published 1993, as well as co-founder and member of the board of the NGO ‘Music Unites Jamaica Foundation’. Ashbourne has wide-ranging experience in composition for theatre and dance including: the famous ‘8 O’clock Jamaica Time’ reviews; four ‘LTM National Pantomimes‘ (Jamaica’s favourite annual family musical); two commissions for the National Dance Theatre Company; and other productions. In the fields of Classical Instrumental and Choral Music Peter Ashbourne has been just as prolific, with commissions for orchestra, choir, symphonic wind ensembles and chamber orchestra, as well as numerous shorter works for chamber groups (particularly string quartet, and assorted solo instruments, as well as voice). The European Union Chamber Orchestra commissioned and premiered his composition ‘Ring Games and Jubilee’ in 2004. His two more recent compositions ‘Hidden Garden’ for Oboe and Strings and ‘MAPADUA’ for Orchestra have been premiered in 2010 in Kingston and Washington DC respectively. Members of the Royal Philharmonic Orchestra performed his composition ‘Jamaica Folk’ during their Jamaica Tour 2012, conducted by Peter Ashbourne himself. The YOA (Youth Orchestra of the Americas) performed his composition ’Pass di Ball’ during their Caribbean Tour in Kingston in 2014. Peter Ashbourne’s much anticipated Reggae Opera ‘Mikey’ is to be staged in 2017. As a film composer, he produced the soundtrack of ‘Human Roulette’; an AIDS docudrama produced for Jamaica and the Caribbean region. He also created and produced main theme, link and incidental music for ‘Royal Palm Estate’, Jamaica’s most popular television soap opera. His composition/production ‘All Fall Down’, a single from the A.J. Brown album ‘Rhyme or Reason’, has been used in feature films, ‘The Fourth Protocol’ and ‘The Howling III’. In 2015 Ashbourne composed and produced the sound track for the four part documentary ‘Raising Cane’. 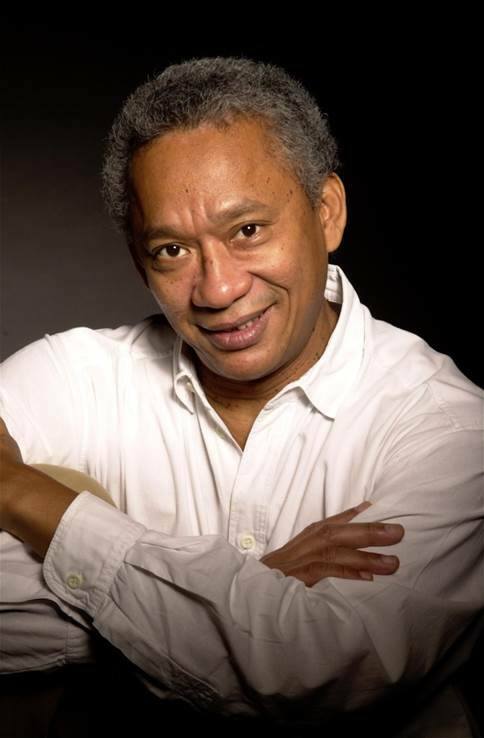 Peter Ashbourne has also been one of Jamaica’s major composer-arrangers of commercial advertising music for more than four decades, producing the music of many advertising campaigns and winning numerous awards, including the prestigious CLIO Award as Session leader/co-arranger for the 1983 ‘Air-Jamaica’ North America advertising campaign. He has been creatively involved in the production of over 750 commercial jingles. In the arena of popular music, Ashbourne has composed, arranged and/or produced numerous notable songs and albums including: ‘The Winds of Hope’, a 1993 JAMI Award winner for singer Karen Smith; ‘When You Love’, a major local hit for A.J. Brown; ‘If I Lose Your Love’ recorded by Boris Gardiner, Jannette Silvera and Anthony & the Imperials; as well as arranging & producing ‘The Honourable Miss Lou’, a folk album for the legendary Louise Bennett-Coverly. Among the other artistes and groups who have benefited from his efforts are: I Jah Man; SPM; Vic Taylor; Pablo Moses; Ernie Smith; Carole Reid; the University Singers; the Carifolk Singers; JOY, the Jamaica Orchestra of Youth; the National Chorale of Jamaica; as well as the National Youth Orchestra of Jamaica. As a performer, Peter Ashbourne has played violin and piano, in both solo & ensemble capacities as: the co-founder, leader and musical director of 70’s pop singing group ‘The Peter Ashbourne Affair’; the co-founder and leader of the string quartet ‘Pimento Players’, the leader/arranger/pianist with pop/jazz group ‘Ashes’, which operates in & out of the recording studio (accompanying singers) and is also in high demand as a jazz group. Peter Ashbourne is the founder, musical director and arranger of the ‘E-Park Band’, an eleven piece Big Band. He led the ‘Jamaica Festival Orchestra & Grand Chorus of Jamaica’ at performances at the Grand Independence Gala 2008, 2009 and 2012, as well as the Golden Gala 2008, celebrating the returning Olympians in the National Stadium, Kingston. Furthering his musical accomplishments, Ashbourne has been the composer, arranger and musical director of: ‘Jamaica Music Industry (JAMI) Awards’ shows 1986-1993; the ‘Caribbean Broadcasting Union (CBU) Song Contest’ finals in Kingston, 1990; several of the annual ‘Prime Minister’s Gala’ concerts; many annual ‘Jamaica Musical Theatre Company’ productions, such as the South African musical ‘Sarafina’ in 2002; and Jamaica’s ‘Rising Stars’ competition since its inception in 2004 until the present day. He was musical director, composer, arranger and conductor of the Beres Hammond Show 2007 ‘A Moment in Time’, collaborating with the ‘Sugar Hill Orchestra’ from New York, as well as the ‘Opening Ceremony for the ICC Cricket World Cup in the West Indies’ 2007. Peter Ashbourne has also played a vital role as studio musician and accompanist for many Jamaican artists such as Bob Marley, Beres Hammond, Cynthia Schloss, Karen Smith, Fab 5, Della Manley, as well as international stars including Paul Simon, Manu Dibango, Eddie Kendricks, Eric Gayle, David Rudder and Randy Crawford. noted Jamaican soprano Dawn-Marie Virtue-James. Current projects include a music theory book on Jamaican popular music styles. He is the recipient of many music awards, including awards for advertising, theatre and a ‘Jamaica Music Industry Composing Award’ for the song ‘The Winds of Hope’, co-written by Alvin Campbell, an inspirational song that has become part of the national psyche and was used at the opening of the World Netball Championship, Jamaica 2003. He has thrice won medals in ‘The Caribbean Song Festival’ as a composer, and is recipient of the ‘Prime Minister’s Award for Excellence in Music’ in 2004. In 2011 Peter Ashbourne received the ‘President’s Award for Technology and Culture’ from the University of Technology (UTECH) in Kingston, and in 2012 he was awarded the National Honour ‘Order of Distinction in the Rank of Commander’ (CD).